So, I can't find my cell phone charger cord. It fell behind my desk once again. Now I have to crawl around on the floor to find it.. UGH! There must be a better way! So on the hunt, awed by some really cool gadgets. The first one I found was by Quirky. This little gismo, called the Cordies Desktop Cable Management sits on your desktop and holds your cables so they don't fall. This one doesn't physically attach to your desk. 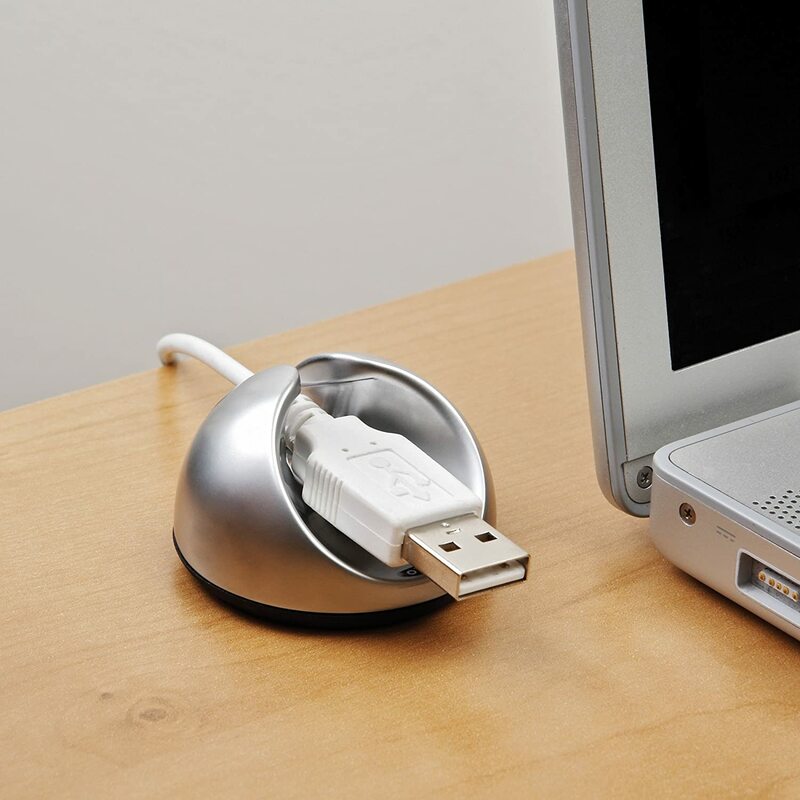 This desktop accessory comes in blue, grey, pink and white. It has a weighted base to help stabilize it and it will hold most of your smaller cables such as audio cables, iPod and cell phone chargers. Reviews seem to feel it needs a little more weight. A little pricey for me at $12.99 but it's an option. Next I looked at the Blue Lounge Design CD-BL CableDrop Cable Management System. I really liked the look of these with your choice of basic black, muted or bright colors. These attached with adhesive. Unless it is a 3M, I get nervous about sticking things to my desk. These are sold as a set of 6 and come at a little more reasonable $8.99 but the reviews are mixed. It might be worthwhile but moving on. Now, this polished satin chrome beauty is another weighted holder. The OXO Good Grips Cord Catch has the weight plus a non-skid surface. I like this one because it isn't a attached with adhesive. It will hold smaller cords but don't expect it to handle the larger ones such as a 1/4" round cable, according to reviewers. That's ok.. I only have one cord. The cost is $7.99. Hmm.. this made my short list.